As artists we must constantly strive to achieve that which leads to those magical, ethereal, and completely fulfilling musical experiences that leave us all enriched and transformed. The art to which we have dedicated our lives demands no less. 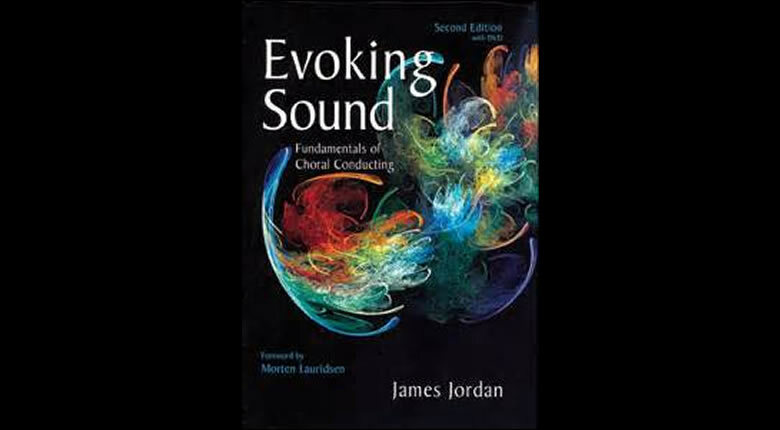 James Jordan knows this and gives us bountiful ways and methodologies, from his own years of experience as an esteemed conductor and educator, to do this through his splendid Evoking Sound, an essential book for any conductor’s permanent library. Evoking Sound set new standards for its vision of the choral conductor’s role when it was published in 1998. Now significantly revised and expanded, James Jordan’s groundbreaking book incorporates more than ten years of new conducting insights, pedagogy, and philosophy to create a resource that is not only informative but transformative. Unique to this edition is the inclusion of a revolutionary DVD with Dr. Jordan and Eugene Migliaro Corporon of the University of North Texas. For the first time, a conducting text contains visual examples of patterns that—with the help of state-of-the-art animation and multiple camera angles—guide you to a deeper understanding of how conducting gesture influences sound. You will come away from Evoking Sound with a renewed sense of the totality of the conducting experience and also an understanding of how to better evoke honest and meaningful sounds from your choir. James Jordan is senior conductor at the renowned Westminster Choir College in Princeton, New Jersey. He is conductor of The Westminster Schola Cantorum and the school’s premier chamber ensemble, The Williamson Voices, which has premiered over 30 pieces in the past five years, quickly becoming a voice for composers of our time. He is also conductor of the professional choral ensemble, Anam Cara, heard on Innisfree (GIA ChoralWorks). One of the most influential choral conductors/educators in America, his many books covering rehearsal/teaching pedagogy, conducting technique, and spirituality of musicing have had a dramatic impact upon teaching/conducting. (call 1-800-GIA-1358) or your favorite music dealer. Copyright © 2009 GIA Publications, Inc.